Presented by: Gareth Jones, with Peter Morgan of Motor Safari, off-road Instructor Norman Mason, motor journalists Rob Burnett, Nick Hutchings & Sean Carson and competition winners: Robin Cutler, & Ryan Edwards. 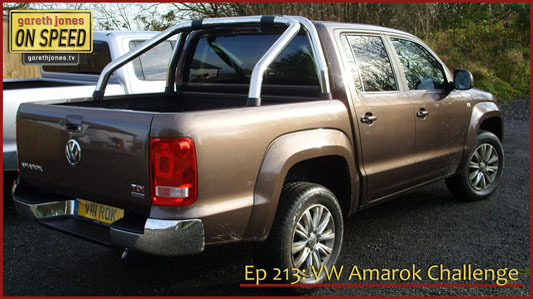 #213 The Amarok Challenge. 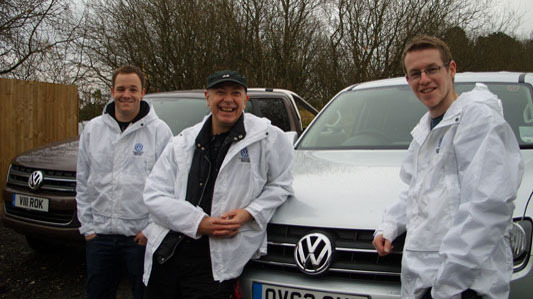 Gareth joins a group of journalists to get some 4x4 tuition and then take part in a competition where the four-wheel drive VW Amarok pick-up is put through its paces; off-road, on-road and even in the water. Ryan Edwards, Gareth Jones & Sean Carson: Team "Ar Frys"